Today is a little cooler, perhaps a top of 25cel. 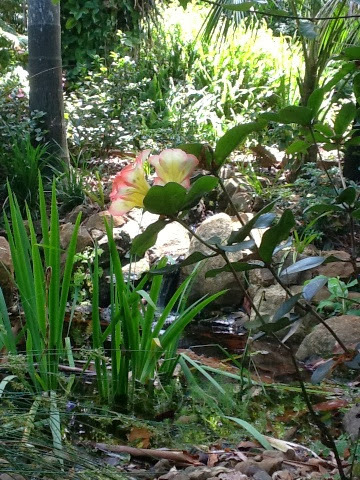 I noticed this morning that Vireya "Cara Mia" was flowering by the pond. One of my favorites. 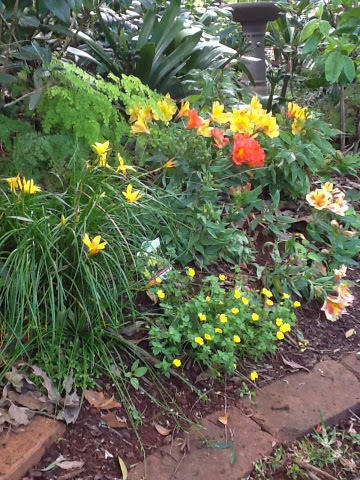 We've recently planted a mercardonia procumbens "Magic Carpet" it matches well with the yellow crocus and the warm colours of the Alstroemerias. These are such rewarding plants the flower for up to nine months of the year.